No matter what you produce, you want your machines to run as safely as possible, with as few interruptions as possible. We offer the tools to help you achieve these goals with our extensive service portfolio. Third party reports and approvals issued by our experts are internationally recognized and signal your commitment to a safe working environment and high quality standards. Taking into account applicable regulations, our assessment aims to minimize your machines’ defects and downtime while maximizing safety and sustainability. As a Notified Body and accredited test laboratory for machinery, we are a trusted partner in industrial machine inspection. We would like to put our experience and expertise in the field to work for you. Speak with a member of our team to find out how to get started with inspections that suit your needs. Once your company has earned our independent approval, you will be able to reap the benefits. The approval is recognized worldwide, and comes with documentation of safety standards, which can reduce liability. It is also a selling point for manufacturers, giving you an edge over the competition. Internally, you will be able to better avoid defects and all the risks, costs and inconveniences they create. 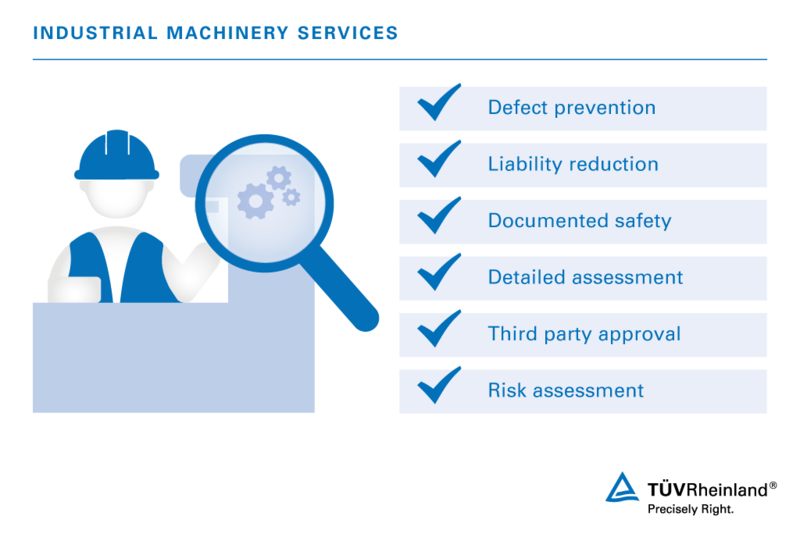 Through our global machinery assessment service, we conduct testing and certification of machinery according to international standards and regulations – from the EU Machinery Directive to OSHA in the US as well as customer specifications. This allows you to keep track of the constantly changing safety regulations for new, old and modified machinery on a local and global level and ensure the conformity of your machinery. Evaluations for compliance with SEMI guidelines S2, S8, S23, etc. For your convenience, we have streamlined the procedure to include just two simple steps. First, we prepare a bid proposal based on the information you provide about your machinery and target markets. Second, we carry out the necessary inspections and either issue a certificate (positive assessment) or a detailed report of open points and modifications to be made (negative assessment). When you are aiming to lead your industry, you look for partners who lead in theirs. Recognized worldwide and authorized (NoBo NRTL, CB, ...) to issue third party approvals, we qualify for that role. Our approach stands out for its emphasis on customization. Your company’s circumstances are unique, and that is why our experts work closely with you to understand your current situation and your specific goals. Our bid proposal will reflect the markets you wish to reach, applicable regulations and, of course, the machinery you use to get the job done. Make an appointment now with one of our experts . Together we will find the right services for you. 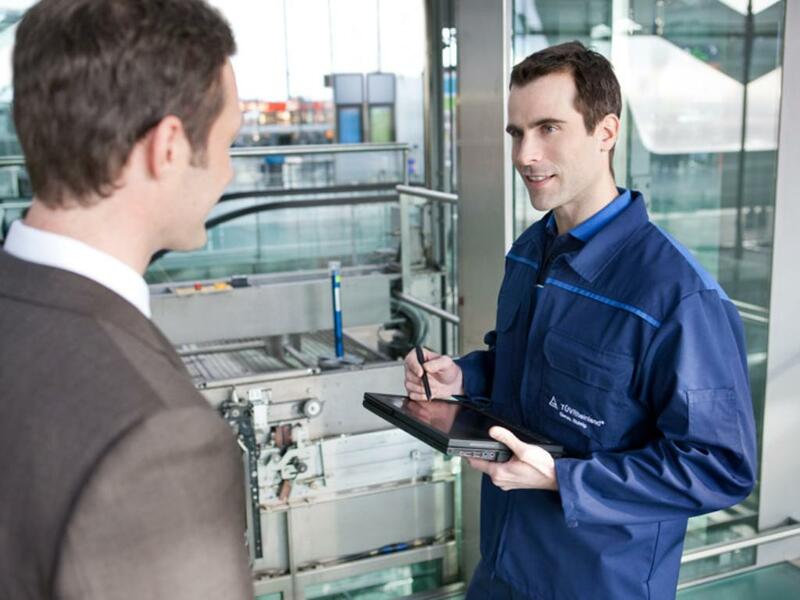 Reliable Systems with Product Audits.